AnanTaah is the dream of two lifelong friends, Lisa Laudeman and Patricia Jeffries. Lisa and Patricia were looking for a way to follow their passion and give back thus AnanTaah was born. AnanTaah enables them to give back by participating in benefits, in addition to donating their profits to organizations involving children and animals. 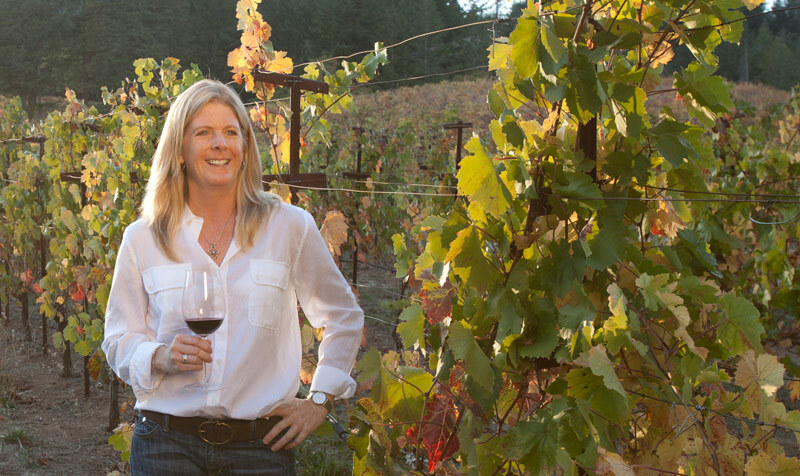 After living in Napa Valley for twenty years, it’s no surprise that Lisa decided to listen to her heart and follow her passion. Lisa has worked for different wineries in various capacities fulfilling her curiosity in the art of creating outstanding wines that unravel with flavors and character. Lisa’s hands on approach touches every aspect of the winemaking process from the day the grapes are picked to the blending of varietal character resulting in excellent structure and balance found in AnanTaah’s wines. AnanTaah’s grapes come from Spring Mountain, in Napa Valley. Their small block of grapes are being kissed by the western sun and the rocky soil is imparting its deep flavors into the fruit. AnanTaah may not be the biggest producer in Napa however, Lisa’s hands touch the fruit every step along the way from vine to bottle.